I do!! 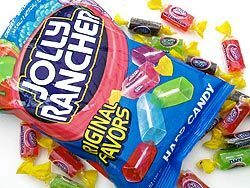 The blue ones are the best! The grapes are the worse! But I Liebe the blue, red, and green ones! MMMMMMMMM... Watermelon, pfirsich n sauer, saure Apple!!!! I used to, until one broke my tooth.